Have you seen an abundance of daffodil-coloured bake sales popping up in the months of May and June? The cheery bright colours vaguely reminiscent of Emojis don’t quite seem to match the browns and reds of autumn particularly well. Ever wondered what they were for? The Cancer Council is an established NGO that works closely with national and international cancer organisations, as well as the Australian Government’s Cancer Australia, providing evidence-based advice to relevant parties. 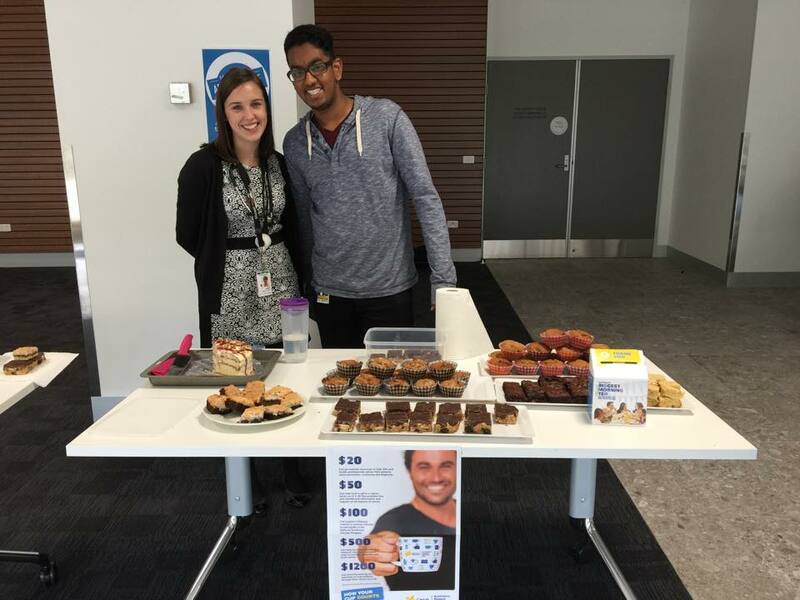 Playing a significant role in cancer research and funding, as well as advocating for improved cancer control policies, they have numerous fundraising initiatives, organised by the community: the Biggest Morning Tea is one such event. The Biggest Morning Tea is an annual charity event conducted to raise funds for the Cancer Council. It can be anything from a bake sale, to a barbeque, or even a fancy ol’ tea party with top hat and all, bedecked in sunny, bright yellows of the daffodil’s petals. Bright yellow: a symbol of hope. 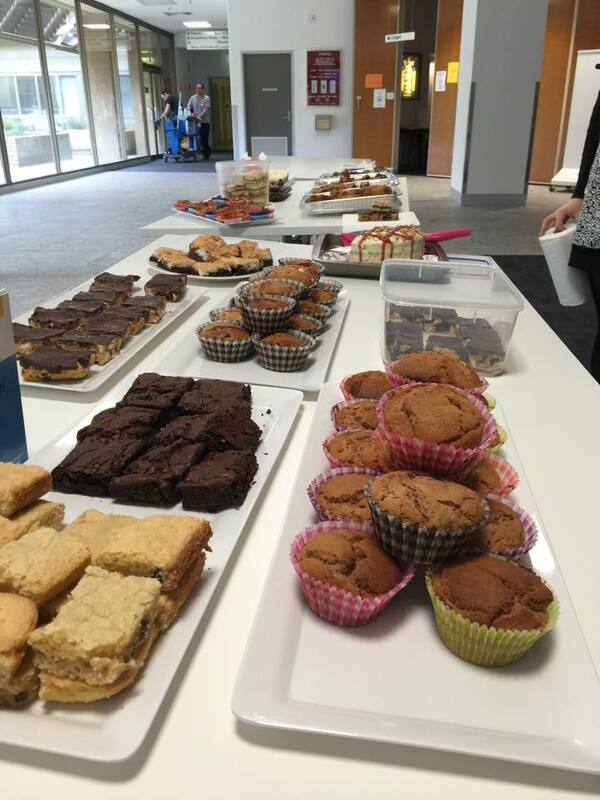 Organised by members of the community, the Biggest Morning Tea simultaneously supports the Cancer Council whilst offering food– and who doesn’t love food? And thus, as the “Community” and Wellbeing committee, the C&W organised our own Biggest Morning Tea on the 27th of May, 2016, plonked down right in front of 27 Rainforest/Building 15/that one tute building. Three days right before Swot Vac, a week before exams– all the better to feed hungry stomachs and brains. The event was a success, raising $175 all towards this crucially important cause. We would like to extend a huge thank you to Baker’s Delight, who donated a massive range of bakery goods for our morning tea; and to those of you who baked for us, who helped out on the day, and who purchased food or made a donation! The night was opened on the 4th of April, with MUMUS President Luigi launching the long awaited Get-A-GP Campaign 2.0 – based on the same-name campaign run by AMSA a few years ago. MUMUS C&W were super proud to be able to finally make this resource available, and hope that it will be continually updated through the years and remain a source of support for medical students! What followed were some great talks by Headspace, A. Prof Clearihan – Associate Dean of Professionalism, Dr Mulyadi – Department of General Practice and Rosie Latimer – C&W’s Mental Health Officer. They covered a range of things – from what causes stress, why medical students are prone to it, how to recognize in ourselves and others and various coping strategies and sources of support. The small-group setting allowed a lot of audience interaction, to produce a more discussion-y feel than lecture-y, which worked great for sharing anecdotes and experiences – proof that good things come in small packages! The evening helped open up the ongoing conversation C&W wants to encourage this year about the issues we face with mental health and wellbeing, why we face them and what we can collectively do about it! On the 27th of May, a group of budding bakers who are enthusiastic about helping beat cancer made delicious treats for the Cancer Council’s Australia’s Biggest Morning Tea. Our Monash Medical Centre, Bendigo and Cabrini Hospital sites were all able to host morning teas and bake sales. Together, the three sites raised a collective $420.40, which can go towards paying an overdue bill for a family who hasn’t been able to work. The events were a fabulous success, and the MUMUS C&W team would like to thank all those who contributed baked goods, helped manage the stalls, and of course, bought some cakes and brownies for themselves! On Sunday the 15th of May 2015, 1200 brave and enthusiastic runners assembled at Melbourne’s Alexandra Gardens to partake in the annual Mother’s Day Classic. Among them was our very own C&W team. Breastcancer is a serious issue. Excluding non-melanoma skin cancer, breast cancer is the most commonly diagnosed cancer among women in Australia. On average, 7 women die from breast cancer every day in Australia. Breast cancer doesn’t just affect women. One in eight women and one in 688 men will develop breast cancer in their lifetime. Unfortunately, men with breast cancer often have worse survival rates than women. There is hope yet. Breast cancer survival rates have increased to 89%, up 6% since the Mother’s Day Classic began in 1998. So we can’t give up now! A special thanks to Zheng Song and Dee Tomic for organising the C&W team at this year’s Mother’s Day Classic.